When using cooking utensils, some people prefer to use Henckels Cooking Tools. Although they mostly focus on knives, Henckels offers other cooking tools as well. Let's start with some cooking supply basics. You are going to need some pots and pans. When looking into Henckels cooking tools, you will find that they offer both stainless steel and non-stick pots and pans. As always, when you are using non-stick cookware you have to use rubber or silicon utensils or the non-stick surface will scratch. In fact, anytime you are washing non-stick pans you should just use hot water and, if necessary, a sponge, but never anything that will scratch the surface. Always dry non-stick items with a soft cloth. Although non-stick may sound perfect, there are some other benefits that regular stainless steel can offer. When cooking with standard stainless steel cookware such as Henckels cooking tools, you will notice that bits of the food get stuck to the bottom of the pan along with dried juices from the food. This is called "fond" and is much valued for making sauces. Depending on the food you are cooking, you may want to go with a standard stainless steel pan. For example: if you are cooking chicken and using a stainless steel 12-inch pan, you will end up with fond in the pan. Then you can pour some wine into the pan and use that to cook the fond off. This is called deglazing and, when done properly, creates a clean pan and a good sauce base. Once the pan has been deglazed, you can heat the wine until it gets rather thick and reduced. This is called "Au Sec" and means dry. At this point, you can add some stock and other flavoring ingredients and make a sauce for your meal. Whether you want to go with a non-stick pan or a stainless steel pan, you will find Henckels cooking tools to suit your needs. Henckels offers two categories of knives: J.A. Henckels International and Zwilling J.A. Henckels. The Zwilling category is the higher end option, but either category offers similar style knives. The knives that you are interested in are the chef's knife, the Santoku, and the pairing knife. 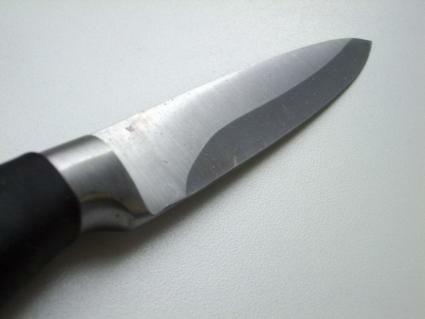 Depending on what you tend to cook, you may also want a long serrated edge knife and possibly a carving knife. When exploring Henckels cooking tools, you will notice that they do offer a carving set that includes a meat fork as well as the carving knife. Knife blocks are an acceptable way to store your knives but do you really need all the knives that come with the knife block set? No, you really don't. For most standard cooking needs, a chef's knife or a French knife is really all you need. Add a paring knife to accompany it and you have all the knife power you will need to get most jobs done. If you find that you are doing a lot of chopping, you may want to look into getting a Santoku. This is a Japanese style knife and the name means it cuts, it chops, and the blade is wide enough to help you scoop the chopped food up and put it into the pot. These knives have become wildly popular lately because they are generally shorter than a French knife and are considered easier to control when cutting and chopping. Start with these three knives and add to your collection as you find you need more. Henckels has been making knives for 275 years and have earned a great reputation as a reliable knife maker. You can order their knives online from most cooking supply sites or directly from Henckels themselves, although I strongly suggest going to a regular brick and mortar store so you can hold the knife in your hand and get a sense of its feel and balance.